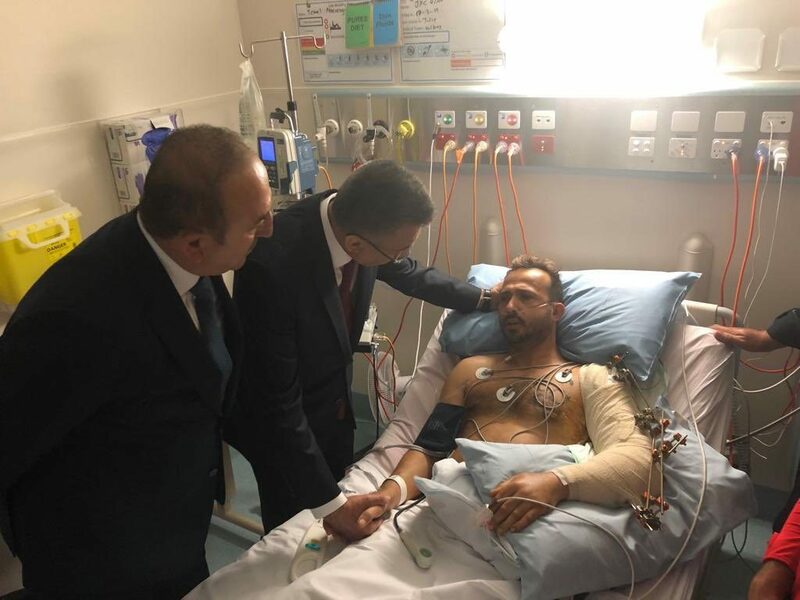 On March 19, Turkish President Recep Tayyip Erdoğan called on New Zealand to restore the death penalty for Australian terrorist Brenton Tarrant, warning that Turkey would make the attacker pay for his act if New Zealand did not. Erdoğan said: „You heinously killed 50 of our siblings. You will pay for this. If New Zealand doesn’t make you, we know how to make you pay one way or another.“ He said Turkey was wrong to have abolished the death penalty 15 years ago, and added that New Zealand should make legal arrangements so that the Christchurch terrorist could face capital punishment. 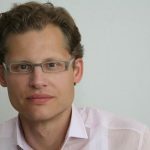 „If the New Zealand parliament doesn’t make this decision I will continue to argue this with them constantly. The necessary action needs to be taken,“ he said. Turkey is supporting the investigations of New Zealand police by all means and efforts. 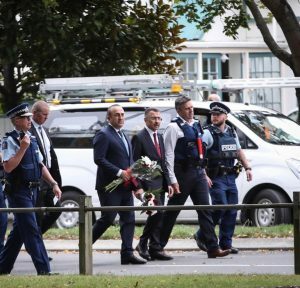 A senior Turkish security source said Tarrant who massacred 50 Muslims in New Zealand had entered Turkey twice in 2016 – for a week in March and for more than a month in September. Turkish authorities had begun investigating everything from hotel records to camera footage to try to ascertain the reason for his visits, the Turkish source said. Erdoğan said after the attack that terrorist Tarrant had „targeted our country, our nation and myself“. Erdoğan said countries around the world, particularly in the West, needed to guard against the rise of Islamophobia. “We are coming for Constantinople and we will destroy every mosque and minaret in the city. The Hagia Sophia will be free of minarets,” Tarrant wrote in his manifesto, referring to the Turkey’s largest city İstanbul and claiming the city „will be rightfully Christian-owned once more.” Tarrant published his manifesto one day before he committed his massacre. On March 16, a short video including extracts purportedly from Tarrant’s manifesto and semi-blurred footage of the shooting was shown to the crowd via a large screen during an election rally in Tekirdağ, a city in Turkey. It is a part of the region historically known as Eastern Thrace. „We do not want to see a cross and crescent conflict again,“ Erdoğan told the rally in Tekirdağ, referring to 2-6 million people dying in the crusades. Erdoğan said Tarrant had said he wanted Turkish Muslims removed from Turkey’s European territory. Majority Muslim Turkey straddles Europe and Asia, its Asian section known as Anatolia. İstanbul, is split between an Asian part to the east of the Bosphorus, and a European half to the west of the strait. 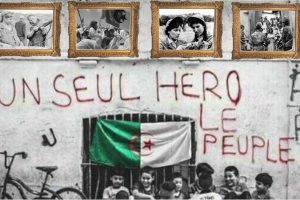 „The wicked person who martyred 49 brothers and sisters is saying that we can stay on the Anatolian side, we cannot pass to the European side. Who do you think you are?“ Erdoğan said. Later the death toll in the massacre has increased to 50, after police officers discovered another body at one of the crime scenes. 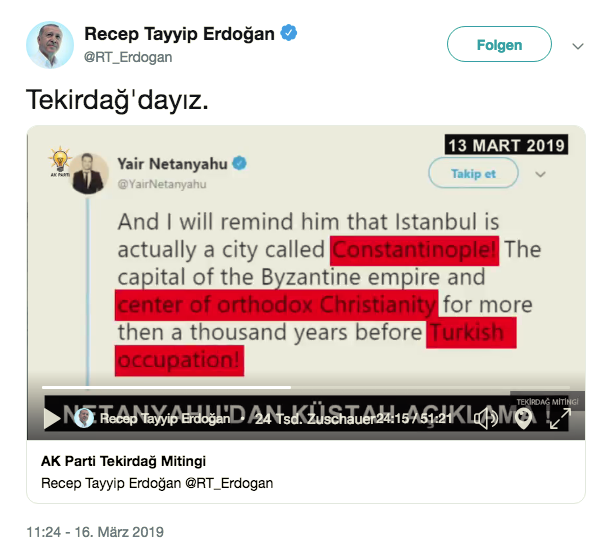 Yair Netanyahu’s „him“ in above quoted tweet refers to Erdoğan. Netanyahu’s tweet was written on March 13, one day before Tarrant’s manifesto was published. 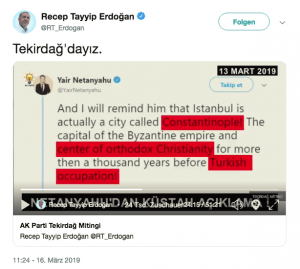 Yair Netanyahu made his remarks about „Constantinople!“ in response to a tweet of his father Benjamin who smeared President Erdoğan on Twitter. There is a common language used by both Netanyahu and terrorist Tarrant. 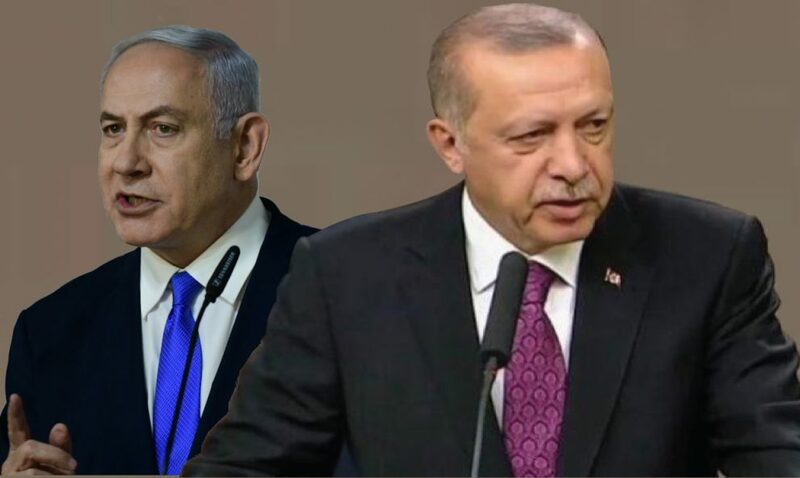 Yair Netanyahu is slandering the Turkish President, falsely accusing Turkey of international crimes instead of condemning terror against Muslims. Yair Netanyahu is silencing the victims of the mosques attacks and spreading lies about Turkey after Christchurch terror attacks. Such tweets as written by Benjamin and Yair Netanyahu are spreading hate against Muslims and they are a threat to the freedom of religion and a threat to the safety of Muslim communities around the world. I am grateful to the President of Turkey for advocating human rights and opposing islamophobia as well as racism and colonialism. 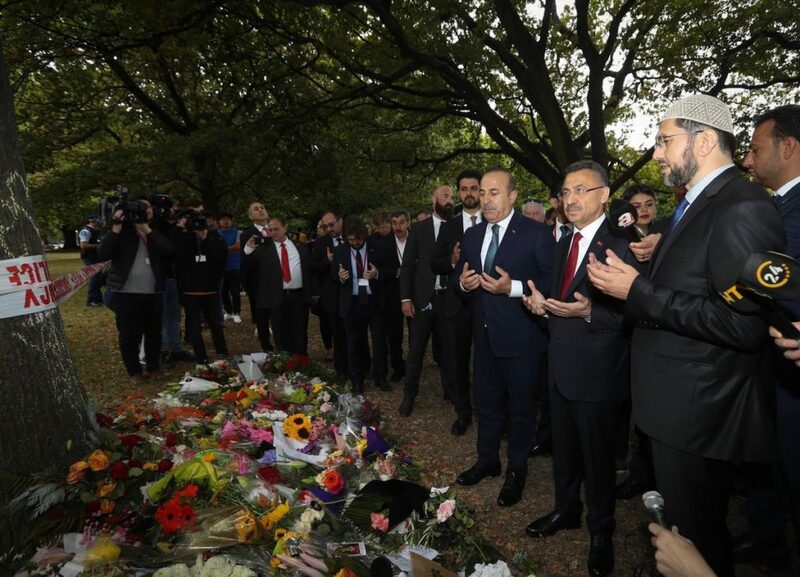 On March 16, Erdoğan described the massacre at the two New Zealand mosques as evidence of global anti-Muslim sentiment, as part of a wider attack on Turkey and threatened to send back „in caskets“ anyone who tried to take the battle to İstanbul. „They are testing us from 16,500 km away, from New Zealand, with the messages they are giving from there. This isn’t an individual act, this is organised. We have been here for 1,000 years and will be here until the apocalypse, God willing,“ Erdoğan told the rally commemorating the 1915 Battle of Çanakkale when Ottoman soldiers defeated British-led forces including Australian and New Zealand troops trying to seize the peninsula, a gateway to İstanbul. „You will not turn İstanbul into Constantinople. Your grandparents came here and they returned in caskets. Have no doubt we will send you back like your grandfathers“, Erdoğan said. New Zealand’s foreign minister Winston Peters said he told Erdoğan that the use of Tarrant’s video footage in an election campaign was wrong. „Anything of that nature that misrepresents this country, given that this was a non-New Zealand citizen, imperils the future and safety of the New Zealand people and our people abroad, and that is totally unfair,“ Peters said. Turkish relations with New Zealand have generally been good, strengthened by Çanakkale commemorations which emphasise shared sacrifices in battle as much as the confrontation itself.